This is all that’s left of a R7m ‘smart park’ in Cape Town. 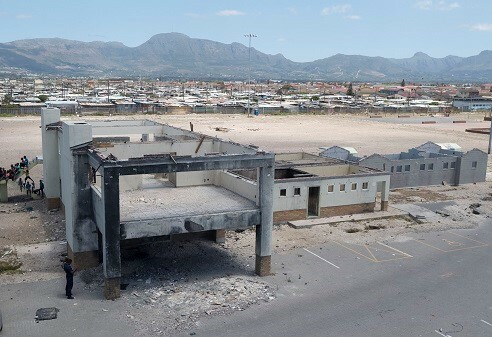 “Wanton destruction and vandalism” had turned Seawinds Smart Park, near gang-plagued Lavender Hill, into a charred skeleton. Badroodien said: “The park … provided families with world-class features that included a water play area where children could learn about the water cycle and splash around in shallow water; a younger children’s play area; a multipurpose playground; two multipurpose courts that could host a variety of ball games; a picnic area and covered stage; as well as outdoor exercise areas.